Sometimes the difference between life and death for an unwell cat is nutrition. Syringe feeding is the slow, gentle administration of soft, soupy food through a feeding syringe, into your cat’s mouth in such a way that natural swallowing is encouraged. Syringes are prescription items in the United States. Since an oral syringe cannot be used for Drug administration, your vet, medical supply stores, feed stores, or sometimes a pharmacy are sources for oral dosing syringes. Soft, soupy cat food. Your veterinarian can provide maximal calories per volume cat foods like Recovery formula, AD formula (alimentary diet), Maximum Calorie formula. Depending on your cat’s needs, you can also blend fresh meats with pure water in a blender to make a gruel consistency. Your veterinarian can help you calculate your sick kitty’s daily caloric needs. Weigh your cat. Estimate your cat’s true body. Do not count rolls of fat. For example, a fat 14 pound cat might have a 12 pound body structure of metabolically healthy cat. You need to estimate, or know the kilocalories per unit, preferably milliliter (same as “cc”) rather than teaspoon. If you are using a commercially available food like Science Diet AD, then the kilocalories are available on the website, your vet has a reference book from the company, or you can call the 1-800 tech support number on the package. Now, just because the calories are there, does not mean you can get the stuff through a syringe and into your cat! You may need to thin the gruel with water. Do not assume a thin gruel has similar calories per syringe to the original mix or you’ll be underdosing your kitty. You’ll find Hill’s A/D has 183 calories per 5.5 oz can (as of 18 Sep 2017.) So, a can watered to administer, slowly with 2-3 cc into the mouth and then wait for a swallow and then continue until the needed amount (which is usually 40-60cc per meal) is delivered, 4-6 times a day if you want to prevent your cat from vomiting right after the meal. When you’re starting, for the first day or two, give 50%, or 1/2 can, or about 75 calories if your cat is very ill. You need to restart the digestive system gradually. See why you probably need the veterinarian? 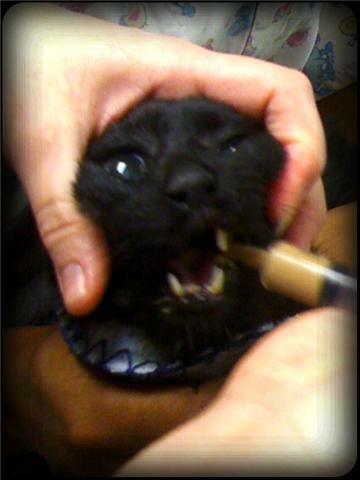 There is much calculation and subjective, experienced-based judgement involved in syringe-feeding a cat! If you truly are in a country with no vet, you probably have no canned food either. But you’re probably crazy dedicated to be syringe-feeding a cat. So, take the food the cat would eat in a day, whatever it is puree, blend, grind, render it down to a gruel consistency. Give 1/2 the first day and increase over 2 days until you get it all in. High calories foods like meat help a cat recover, usually (they are obligate carnivores). The volume a cat can take is 3-6 cc at a time, every 1-2 hours maximum, for a total of about 40-60 cc to fill the stomach at any one sitting. In a sick cat, it may take 3-6 hours for the food to leave the stomach enough to get a new batch in there! Good luck! Use a towel for wrapping your kitty in a “kitty burrito.” Control of your cat’s body is a key to success. Claws and squirming will facilitate kitty escape and your failure in your endeavor. Choose a medium size towel for a 10-12 pound or less cat and a thin, but sturdy beach towel for a bounder-sized kitty. Thick, fluffy towels do not work well, because they limit your ability to feel where your cat is in the towel and they limit your holding ability. Thin, small towels do not work, because paws and arms start slashing at you from under the towel, not fun! Gather your supplies. Blend the food. Have fresh water to rinse your cat’s mouth after the feeding. Measure the food intake by proportion of a can used, not by the cc’s of liquid given. You will vary amounts of liquid or water with the food each day, depending on the need at the time. If one meal is 30% water and another meal is 50% water, then cc’s fed will not help tell you caloric intake from the actual nutritious food. If you use a brand like Fancy Feast, it may be too thick to pass through the opening on an oral dosing syringe. If you have a blender, or a coffee grinder you would like to sacrifice for cat food preparation, mix in some water or low-salt or homemade chicken broth and make a semi-thick slurry. If you have access to an animal hospital, ge prescription recovery foods your vet recommends. Your veterinary hospital may also have a pure liquid diet. While this food is intended for use through a tiny naso-gastric feeding tube, it may also be appropriate for your cat. Your veterinarian can guide you. Warm the food before serving. Use warm water, or place the dish or syringes of food into warm water or a vegetable steamer before serving. If you have a microwave oven, you now they can be time-saving and help you cope with a chore of warming food when you have many other things to do for your sick cat. If you must use the microwave, be sure to mix thoroughly to prevent hot spots in the food which could burn your cat’s tongue. In the comments, you will see a critical reader’s feedback. They called me into question on my opinion about microwaves and indeed, I cannot quickly find National Institutes of Health evidence that microwaving degrades nutritional quality of the food. I have edited this paragraph to be more mainstream-factual so that the readers can trust my advice and help their cats. Avoid using electric cooking devices (ovens and ranges) or microwave ovens. The use of a gas or wood stove is preferred. Gather your supplies at a feeding location you can manage. Get a helper if needed to hold your cat. Note the hand gently wrapped over the head, and note the syringe angled up and slightly back and midway along the jaw. With kitty tucked under your left elbow and forearm on your lap or a sturdy tabletop, grasp your cat’s head by placing your left hand (your eight hand if you are left-handed), up over the back of kitty’s head behind or just over the ears. Your thumb should be resting on your cat’s cheekbone (zygomatic arch) on the inside toward your body and your fingers should ne resting on the cat cheekbone facing away from your body. If you have cheekbone control, you have head control. “If you have cheekbone control, you have head control,” says Doc Truli. 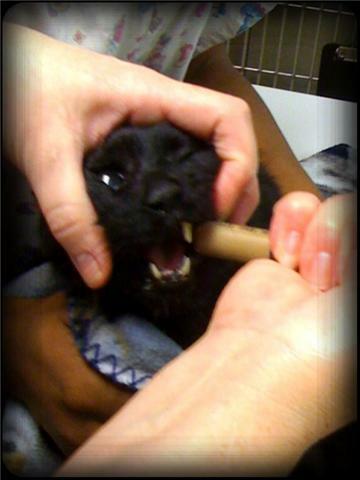 Lift preloaded syringe of food to kitty’s left side of the mouth. Approach from underneath and the side. Do not approach straight on from the front! The sight of your hand and the syringe coming straight into the front, frightens most cats and triggers then to bring a paw up to bat you away. Do this with your dominant hand, as the most dexterity is needed to guide the syringe and slowly push the plunger to feed your kitty without frightening him or her. Come from the side, and slightly underneath the side of the mouth. In between the sharp canine (eye) teeth and the back of the mouth, the premolars are small and short. Nudge the tip of the feeding syringe into the space between the front and back and between the jaws. Wiggle the syringe up and down and/or give a slight quarter turn at the midway location. This movement on the midway spot causes the jaw to open. Slowly inject the food into the center of the mouth. Aiming at about a 15 degree angle for the roof of the mouth also promotes swallowing and helps prevent choking on the food. Many first-time cat nurses give food too quickly, or too much at a time. Give tiny amounts of the food at a time. Approximately 1/2 teaspoon, or 2-3 mL blobs of food. Going too fast will cause kitty to spit up or fight. About three ounces of canned cat food with water times maybe 6 to 9 of these syringes in a sitting. An average 10 pound car might need 3-4 feedings a day. Your veterinarian can accurately weigh, figure our the caloric content in the prescribed diet, and give you a starting calorie point for your cat. Every cat, disease, and diet presents a unique combination of caloric needs; follow your veterinarian’s advice. Look at the big, shiny, black pupils in this cat. Did you notice the big, black, shiny pupils in this cat? Especially in the first picture? Even under the bright treatment room lights, her pupils did not constrict. Why? This seventeen-year-old cat has chronic, long-term kidney disease, which caused secondary hypertension (which also makes the kidneys worse), and the high blood pressure caused the retinas in the back of her eyes to up and detach all of a sudden, making her just, well, suddenly blind one day last week. There’s no reversing this. If your cat looses weight, changes urination habits, starts eating more or less, get him or her checked out. 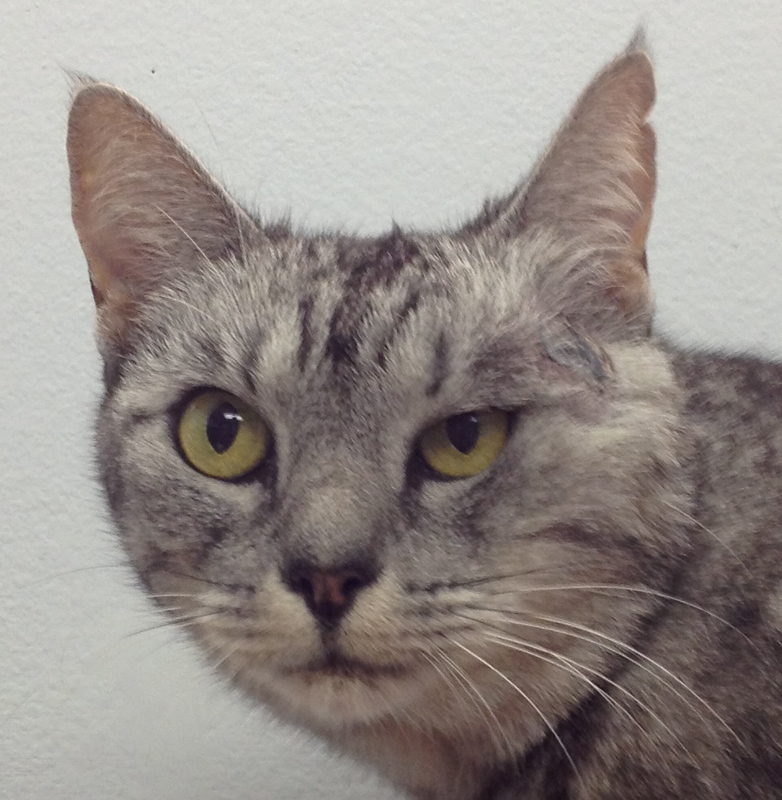 This kitty’s mom waited six months and her kidney disease was so advanced, she went blind in spite of medications, and she comes to the hospital twice daily for subcutaneous fluid administration ands syringe-feedings to supplement her poor appetite at home. On the bright side, she has gained weight, and purrs, and has started playing again! A can of A/D has 180 calories not 350. True. Article updated 18 Sep 2017. Some brand names removed, too. Some of the companies or no longer extant. 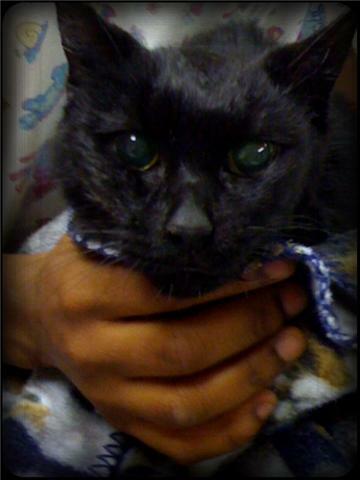 I have a cat who is suffering from end stage renal failure. I am syringe feeding 3-4x daily. My question is – how much can a small cat take at one sitting? We are currently feeding approx 40-50cc per sitting. On the days I can only get 3 feedings in a day – I would like to increase a bit. Does it seem reasonable to increase 10cc for a period of time and see how he does? There has been no vomiting and his bowel movements are fairly normal. Your plan to slowly increase sounds reasonable. In hospital, when we syringe or tube feed cats, we generally do 30-60cc. Most cats seem to regurgitate or vomit 90cc. Also, if you get the water component down to the bare minimum needed to get the food into your cat, there will be more nutrition per cc. Makes sense, right? If you make the food very watery, then you are giving less calories than thicker food mix. Yes, thank you. I am not worried about his fluid intake as much as we are providing subq fluids 2x daily. Hello.. i am in a desperate situation with my 16 cat with kidn disease :(.. we started syringe feeding few days ago and is not going well :(.. he is vomiting a couple of hours after i give him Azodyl and canned hills mixt with water in a syringe. Please tell me how to avoid him to vomit? He is very deydrated also, although he takes i.v fluids..
Vomit is a limitation of syringe feeding. I’ve been syringe feeding my baby for 32 days, we’ve had good days and very bad days. But I noticed his one nostril getting sore and swolen (only one side) I thought maybe from when he vomited it must come out his nose and therefore burn it and causing it to be sore like it is. But now he’s not vomited for 3 days, and the nostril still very raw and sore. Any ideas why or what could cause this? some back ground, my boy is elderly not sure of the age no canines and was dignosed with cancer in June, since then survived 2 operations removing tumors. My vet is pushing euthanasia and got quite rude, so we are a bit on shakey ground. I am sorry to hear you had a conflict like that with your veterinarian. I suggest you add a veterinarian to your team. Perhaps a holistic vet trained in Traditional Chinese Veterinary Medicine. You can find one at http://www.tcvm.com under the “references” tab. Your veterinarian who prescribed the balloon dilation procedure should advise about what to feed, how to feed, and how much to feed. It is different with every cat and critical information toward her recovery. I would suggest reading over your written discharge instructions and perhaps calling your vet clinic and asking if a nurse is available to discuss the instructions with you. Or ask if you can book a nurse or doctor appointment o learn how to feed your cat. Successful post-op care will make all the difference in whether she makes it through this difficult time. Every doctor and hospital team is different for how they book and charge for the time for teaching you. Definitely give them a call. All the information in this article is very helpful and useful. Thank you I have a 19 year old girl whom I love so much who has liver diease. She will only eat the gravy from her food & some crunchies so I really hopes this works. Microwaved food has zero energetic healing ability and the microwave radiation changes the fats and proteins in the food into very difficult to assimilate forms of molecules which do far more harm than good. That’s bull. How am I supposed to believe anything you say when you publish stuff like this to the web? Hmmm…I see your point about my writing. The “zero” is subjective and poetic, not mathematical. The fat and protein changing thing is now difficult to Google the NCBI and NIH references I read years ago. Now when I look it up, I see “minimal” losses or “equivalent” or, for some nutrients “improved retention” compared to boiling and stir-frying. So I am going to edit the nutritional form thing because I based it on a study I saw years ago, but now cannot back up. About your point about believing what I write…that is up to you. I write lots and I mean to be clear and truthful. I do understand there is a responsibility of a doctor in publishing. However, I do not treat a blog like a peer-reviewed journal. I treat it more like a novel or story-telling format to help people feel inspired and hopeful. I doubt I am harming too many people by having them question their microwaves, BTW. About the “energetic healing ability” comment. Traditional Chinese Food Theory speaks to the energy with which the fuel or the “fire” imbues the food. Dung is thought to traditionally provide the best cooking fuel, quality of the energy-wise. Then straw. Then wood. Then coal. Then electric. The sources I read were written before microwave technology and magnetic induction, so I am still trying determine if they imbue the food with nourishing energy. I have the personal experience that food cooked on an electric stove is not nearly as tasty as food cooked in a wood fire or charcoal grill, especially depending on the weather and the time of year. This is unscientific, but I feel food for a sick cat heated in a microwave will not nourish the Qi like food heated other ways, like steamed. You may not even acknowledge Qi as a workable thing and so I would have lost you there even if I was more careful with my wording. Thank you for the feedback. My wording was sloppy and I have edited it. You may still disagree with the concept, but at least I can state my opposing view more intelligently. Hey, I was feeding my cat just now, and moments later he started doing sneezy sounds and little coughs and sneezes. Has the food went in the wrong pipe? I feel like his breathing also for faster but not sure, and found little things around probably got out during sneezing. They are like things that would comde or from between teeth and stuff. I have a 4 months old cat weighted around 1.5 kilo/3 pounds with jaundice. I brought her to the vet and the doc says to force feed her around 2 – 4 times a day – 1 teaspoon per feedings. The doc even says that if she able to consume more, I could add another dosage. He even gave me antibiotic and vitamin c for her medication. She have difficulty to eat and kept resisting every time I force feeding her. I fed her around 30 – 40 ml per day but really little improvement. Just this morning I found her lying on her litter box and found out she’s semi paralyse or probably really weak. I didn’t know how she ended up lying there and is this really serious because I’m scared some of the sand might getting into her mouth and could cause something? I have clean her then I fed and gave her medication but still she seems really weak responding. I need some other advices before I met with the vet especially the amount of foods that I gave her. So, a cat’s basic metabolic water needs include replacing urine, tears, saliva, moisture in bowel movements (diarrhea causes more fluid loses than firm stool), and breathing. Your slurry you are syringe feeding is about 80-90% water (canned cat food is about 70% water). 30mL/#/day or about 60mL/kg/day are the resting water needs. Testing meaning healthy normal cat with normal body water losses. If a cat is acidotic, dehydrated, ill, it changes. Your vet should guide you for calorie and water requirements. It really should be a basic datum you pay for when you seek veterinary consultation. 4) personal prescription for volume of food to tube/syringe feed and fluids to give subcutaneously or through an indwelling feeding tube. Or IV in hospital. So, even if you cannot afford hospitalization, your vet can give you much guidance, if you know what to ask. Thanks for asking a question everyone should be thinking! How many ml can a cat intake at one time? I gave my cat 12ml yesterday and it may have caused aspiration but I don’t know because she was also being given 3ml of water with her liquid medication. I just want to know how much is too much. 10 lb (about 5 kg) cat tummy can usually hold about 30 cc. Not all in one big gulp, but at one sitting. Probably can swallow about 1-3 cc at a time. Thanks for this article – from the proper dosage to the proper way to feed them. My brown tabby was a stray taken in by us towards the end of 2012 (we believe she was around 6mos old at the time). She never really gained any weight, even after her spay, only frequently cared for moist food, and randomly nibbled on dry food when hungry, sometimes gorging to the point of throwing it up later. Thank you again for the informative piece. Thank you for your “feed” back. I try to address common gaps and misunderstandings I see daily in practice. Many of those gaps, like how many calories a pet needs when syringe fed, should be made clear as part of the discharge instructions, but they are not. These are facts every veterinarian should have on hand. Maybe they seem so obvious to them, they forget it is not obvious to everyone else. My overweight kitty recently began losing weight unexpectedly. By the time we realized something was wrong, she had dropped around 5 lbs, had a high fever, and was severely dehydrated. She spent a week at the vet, where blood work was done but no official diagnosis was ever given. Supposedly all the “serious stuff” was ruled out; the idea was that she had an infection which had probably now gone away. It has now been two weeks since her original vet visit and she has still not begun eating on her own. She is also still drooling and refusing to groom. With force feedings, she appears otherwise better, regaining both weight and strength. Any ideas what we might do next or what could be amiss? Unfortunately we spent all we could really afford on the initial fruitless/noncommunicative vet trip, so we’d be looking at the possibility of euthanizing if things don’t change–don’t know what else to do. Imaging. Plus a second opinion from a specialist. Or, a second opinion from a vet your friends and family rave about. Really, so many things could be the diagnosis, I cannot even hazard a guess. Have they checked for IBD/Lymphoma? My kitty was at 11lbs and is now down to 5.1lbs after 10 months being diagnosed with IBD. The thickness of her intestinal walls prevent the absorption of nutrients. She hyper salavates as well as vomits every other day. Same thing not wanting to eat. An ultrasound would show up any intestinal issues. Even if the bloodwork comes back good, which my kitty’s does. Lymphocytes were well below the average and everything else was in normal range. Also your cat may have really bad breath. just a suggestion because it seems like your cat is going through the same. I hope things are better and I didn’t mean to scare you. Best of luck with your furbaby! Thank you so much for your interest in this cat’s story. My stories come from my veterinary practice and are intended to instruct and inspire people to find paths to wellness for their pets. I published your comment because I think it may help other people. The fact that your cat’s blood work was essentially normal, yet there was an important disorder/imbalance in the intestines is important for other people to read. Blood work is an important tool and can diagnose or help diagnose many problems. But it never tells the whole story, and sometimes it does not point to anything (although the absence of problems on the blood work is helpful). Sometimes, the veterinarian may recommend tests and no one knows what they will show. 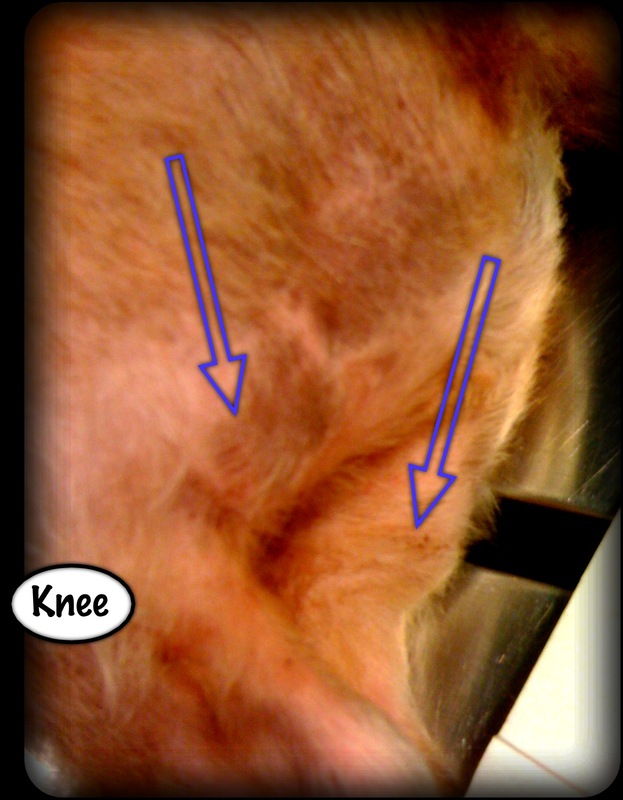 Clients constantly question: why do I need an x-ray if my cat has FIV infection? What will the test show? Especially, reading between the lines- which test is most likely to find an answer that I can treat, because funds are limited and I can’t keep just running tests. If someone does not trust their veterinarian, then the questioning cab be very intense. The fact of the matter is, we need tests because we do not know what is wrong. We need a diagnosis to pinpoint the prognosis and the treatment plan. In other words, we cannot predict if the treatment will work, or even exactly what treatment to intelligently try until we have some data beyond the physical exam and history. A pet can always undergo “supportive treatment,” which is IV fluids, monitoring, perhaps symptomatic medications for pain, vomiting, diarrhea, etc. But without testing, we cannot answer many questions. So if you can, let your veterinarian run tests. Maybe ask up front how much it costs for supportive and symptomatic care so you are sure to have the budget for that and then see if there is room in the money budget for as much targeted diagnostics as possible. Thank you for a very informative artical. I just started to syringe feed my 9 y/o snowshoe. 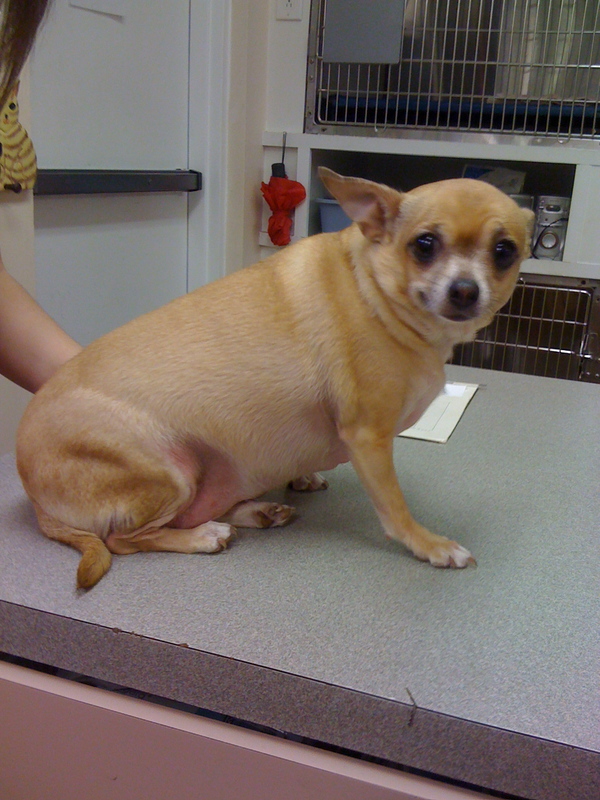 She had a GI issue that had she nausious and vomiting and with that she stopped eating. Her Vet told me that after being ill like that are afraid to eat again. So here we are with our Hill’s A/D and syringes. I know there are not hard and fast rules as to when she might eat on her own, but are there signs I should look for that she may want to. She has on occation eaten a few treats but still turns her nose up at her regular food. I find leaving out a buffet of options she an explore can work. Be sure to measure or know exactly how much you out out so you can tell for sure if she has been nibbling. I bought Willow at a pet store when she was 3 months old. Now she is approx 6 months old. We didn’t realized we bought a very sick kitten. She had an eye infection and somehow, it got worst and we took her to th she vet. She was treated for the eye infection then they found out she had upper respiratory infection and treated it at the vet for 5 days. She stayed there to receive the medication and fluids through I.V. Her bloodworks came back negative for Feline Immunodeficiency Virus (FIV), and Feline Leukemia. They also checked if she had other diseases such as kidney which is also negative. 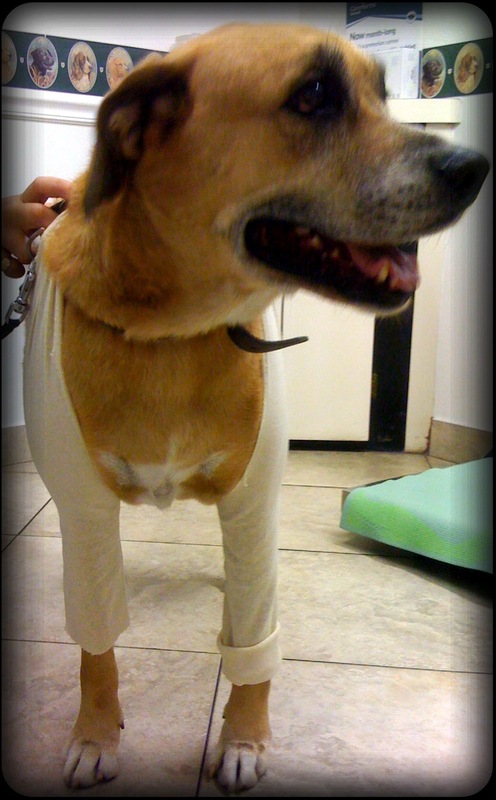 At first, she refused to eat and drink water..so we ended up giving her fluids under her skin constantly. She finally ate solids for about few weeks then started peeing on the floor. We thought she might have bladder infection so took her back to the vet to get her tested for it which is again negative. She has lost a lot of weight and is approx 3 lbs now. She would nibble little on dry foods then wet foods but not emptying them like she usually do. The vet thought she may be sore in her nerves and joints and gave her prednisolene medication and it is supposedly help her have the urge to eat more which isn’t happening..After reading this forum, I have decided to give her pureed Fancy Feast kitten canned food with half can of water. I divided the liquid mixtures equally into 4 “shotglass” glasses ( 1 oz each) and use syringes to feed her through the mouth. Today is her first day with this syringe method. I should start slowly with only 4 today then gradually increase the intakes. I just want her to eat and I understand she will eat on her own. It’s been so long since I’ve seen her active because she has always had something in the last 3 months and I’ve spent $1,500 dollars on vet bills..not complaining here..she’s my baby and I will do anything to help her. Last resort would be to put her down but I want to weigh out my options and try to help her through this. Am I doing the right things? Thanks in advance!! It sounds like you are being diligent. Did your vet discuss placing a feeding tube? It could be an option if you expect her to not eat on her own for about a week and she needs more time to recover. Might be something to ask about. Hi!…unfortunately, she passed away few days after I left this message. I am still grieving for her but I know she is not suffering anymore. She must have contracted feline infectious peritonitis when she was a baby and it slowly destroyed her organs especially her brain when she got older. I am grateful for the 3 months I had with her. She will be sorely missed. Thank you for sharing your story, Janet. Every kitty we take into our lives stays with us forever. Even little rescue kittens that stay only a few hours or days cannot be forgotten! That’s a great question for your vet, or their nurse. Good luck! My new 2 year old cat was very sick with an upper respiratory infection and I have been feeding her via syringe (hills AD) for over 10 days. She finally looks and is acting healthy for the past 3 days. My problem is that she really likes eating via syringe and I can’t get her to eat on her own. Have tried a buffet of various food in bowls, no luck. By the way, she was only 7lbs when I got her from animal control and is now down to 6lbs and holding (thanks to the syringe). We have a great vet, but all we can come up with is that she will eventually eat on her own? I’m just worried that she’s loving this attention. She holds the syringe with her front paws like a baby bottle! Help, I love her but don’t want to be doing this forever. I’ll bet she’ll start looking to eat on her own once she’s back up to at least 7 pounds. She’s still got a long way to go! Hi I’ve been syringe feeding my cat for a few days now no one knows whats wronge with her, she had a sarcoma removed and they think she got an infection but cna’t be sure. This is a fantastic page. Thank you so much for joining us in our adventures on VirtuaVet! In my experience, the cats will eat when they feel better. Some veterinarians say to stop syringe feeding them when you think they might eat to “make them hungry,” but I do not think that’s necessary. And it can result in under-doing the calories significantly on those “test days” when you decrease the feedings. My philosophy is this- the bosy wants to balance itself. It wants to eat and get energy the most independent, natural way possible. When her body is ready, it will eat if it can. Thank you for this page and your responses to these comments. I am syringe feeding after my cat has had a piece of jaw removed because of a tumor. It was a hard choice to make, as it was an invasive surgery–but he was otherwise young and healthy. I work, so four feedings was impossible, but have been doing three. He is now starting to move back into eating wet food, but slowly and not enough–but it’s a start. I continue to syringe about 20 cc (actual eating probably 15 with spillage) 2-3 times a day to supplement. hi I have read the HIlls Ad diet and a bit confused. my cat is roughly 5.5 kilograms…and they say for a cat with cancer. He has to have about approx 260 ML a day. 1 can they say is 150ml — so my cat needs approximately nearly 2 cans a day. So if that’s about 6 meals a day it’s approximately 45ml per session every 2-3 hours.?? On your article you say to start with 2-3 cc at a time 4-6 times a day?? For a bigger cat. Would this matter about getting 45 ML x 6 times a day…according to the Hills AD diet. Thank you for your close reading. I have amended that part of the directions to be clearer. I meant that a cat will only accept approximately 2-3 cc in his or her mouth at a time, and then need to swallow before the next batch hits the mouth. Then you give the food slurry slowly at about that rate until you have reached the desired 30-60 cc a sitting which will probably be needed to get enough calories into your kitty. If your kitty needs 2 cans, then tube-feeding may be preferable to sitting and trying to get your cat to accept 4-6 20-30 minute sessions throughout the day. Tube feeding involves a holder, a mouth speculum, a tube, food, and expertise to avoid flooding the lungs with food. Many veterinarians are skille din placing a naso-gastric feeding tube. 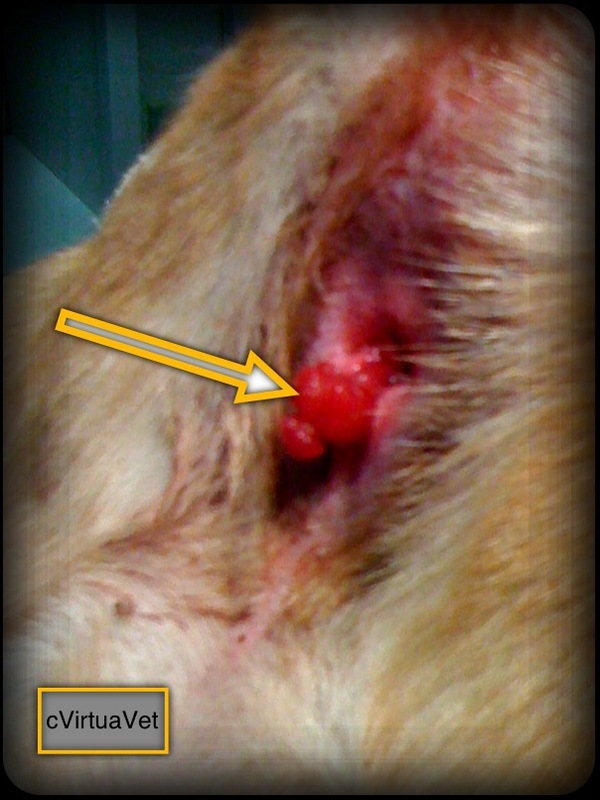 It goes down on side of your cat’s nose into the stomach and is stapled or sutured to the head. There are other surgically placed indwelling tube techniques for long-term (for example, 2-3 months) or help feeding your kitty. Cats are surprisingly tolerant of these feeding tubes! Thank you very much for replying Doc Truli. I am stormyaussie aswell…think I somehow got 2 replies when I was typing or typed separately. I was a bit desperate at the time lol. I have done quite a bit of research the last week, and your website was extremely helpful and I learnt a lot. I watched a few videos on youtube too on how to syringe feed and that helped a lot also. But your tips on holding his head helped a lot and the information was helpful and detailed. There is hardly any information around that has the correct information. and it was valuable having it, so thank you very much. Especially to have someone respond. Just another tip to help the cat stop getting food on his fur and getting the fur matted. One tip someone had for their video. They use a paper towel, cut a T section at one end of it, and slip it over the cats head. This made a kind of bib, and helped with the mess of syringe feeding. I managed to get into the rythym with syringe feeding since last Friday after your article. It was really hard at first, and my cat used to fight me, but we have managed to work it out even though I felt like crying sometimes…but I persisted and persisted…and now have a rythym , and I can now get into him about 45-50 ml a session about 5 to 6 times a day to try and meet the amount he requires for the Hills AD requirements of 270ml. I asked my vet that day too, and he said that amount was correct, but he said just to try and get as much in as possible if I can. The only problem I mainly have with him now is getting tablets down him, as I kept getting badly bitten (and the pill popper doesn’t work). So I’ve had to crush the tablet into a powder and put in the food in the syringe. I’ve tried to get all of it in him, so I hope it’s still effective. I didn’t try the burrito. What i’ve done is take him into the bathroom. and sit down with him in the corner, with me facing him, and him facing me in the corner. he can’t get past me, and he sits there, whilst I use the syringe feeding, coming from the side of his mouth and feed with my right hand. And I use my left hand to hold his cheeks as you suggested above. That technique helps a lot. he is actually quite good now, I am surprised. Giving him food every few hours. He has been going to the toilet regular. They are kind of runny/half solid, but the fact he is actually doing them, is a relief. I read somewhere that a bit of pumpkin helps with constipation? ?is this true? I will try and get Eukaunaba, I don’t think my vet supplies it as they have Hills or Royal Canin, but I’ll see if I can order it from them or another vet if need be. Another question. I am unsure about and I will ask my vet about it also A friend of mine has advised putting some Colostrum Powder onto his food. Do you know if this is safe?? She said it’s suppose to help with their immune system. I am unsure though, so would rather ask a professional before giving my cat something i don’t know what it is. The vet also gave me a High vitamin paste to give him each day…i’ve mixed this now in his food as he hated it by itself lol so it was easier it’s called Nutrigel. I put about 15g in the whole mix of 270ml. The one problem with the oral syringes is sometimes pockets of air sometimes…and it will go into my cats mouth. It has happened twice now and he has hacked. I worried that I have done something wrong or too fast. The other after a few days of using them, they are hard to use and draw as easy…so I probably have to get new ones. don’t seem to have a good supply of different kinds of syringes where I am. (Australia) i am using 10ml BD syringes. Thank you very much for your help. I appreciate it a lot. Thanks for your feedback. And your persistence in nursing your kitty. The air bubbles in the syringes are normal. Some are unavoidable. If you see then coming, you can try to push them out before they upset your kitty. The seal on the rubber plungers on the syringes don’t last forever. Technically, those are one-use disposable syringes. Plus, they are expensive. Pumpkin is a natural remedy to help the stool move easier. It shouldn;t hurt anyone as long as there is not added sugar. You can call your vet about it to be sure. Also colostrum is a popular immune-boosting remedy. I have no scientific studies to support its use and logically, I wonder how it works, since our gut and the cats locks out colostrum after about 1-2 days of life. But probably the colostrum modulates the immune response of the villi bruash border lining of the intestines. I would definately speak with your vet about the colostrum. I also suspect it is expensive for any perceived benefit it may have. Hi thank you very much for the article. My cat has lymphoma and he is having chemo. I have got Hills A/D and a vitamin paste from my vet. This is the second week of chemo he is on. Everyting else on the chemo is going okay. He is more energetic, breathing easier, lumps in neck are smaller. However The vet told me we need to get his weight back up. He weighs about 5.4 kilograms…..used to be 6.7 kilograms a few weeks ago before he started losing weight. I have had trouble with syringe feeding, so have just been finger feeding instead — where i put the food on his lips and he licks it. or I wipe a bit over his teeth. I’ll try the syringe feeding again from your tips and see if I can do it. He has fought me too much before. When you do the Kitty burrito. is he still sitting up or can you hold them on your back….I’ve mainly been just having him on the kitchen table sitting….trying to not make him move whilst doing the finger feeding. Is syringe feeding better then finger feeding?? and more effective. Will try anything to get him to eat more as days go. If you consider how much volume of food you need to get into him to get him to gain weight, syringe feeding becomes much, much more viable. It’s just so difficult to get it into him through the finger feeding you describe. I would suggest a kitty burrito on your lap when you sit in a comfortable chair. Then your thighs form a natural wall around two sides, with him facing away from you and you cbring the syringe in from thr right or left side, depending if you are right or left-handed. If that does not go over well, paybe you can burrito him and hold him on a counter or tabletop tucked under your arm and then have his head facing frontish so you can get at the mouth parts. If your kitty is under vet care, you can talk to your vet about the risks and benefits of an indwelling feeding tube. Even cats with cancer generally tolerate a mild sedative well. The tube is placed, and then you have cleaning and feeding to do through the tube, but at least you do not have to touch the mouth and it just takes a few minutes! Your veterinarian can help you decide if a feeding tube is a good idea for your kitty. Hi, tried the syringe feeding which did not go so well. I’m glad to see such a well written article, I found my cat to have very SHARP teeth to the point he got me in 2 places. My left thumb actually got an infection; had to go on antibiotics, etc. much better now. Glad to hear about the gowl hold. BTW, the vet doesn’t have any new suggestions just gave some antibiotics to our kitty and sq water Looking for low cost cat care–he seems in so much discomfort and is even hurting himself it might be the time to let him go to heaven. His name is Happey, 7 yr old tuxedo kitty who had always been very active and , of course, not now. So sorry to hear Happey is not doing well. You know, in certain veterinary teaching hospitals, nurses have the right to refuse to force feed a cat, as some consider it unethical to make a living being eat when they do not wish it. Sometimes cats decline treatment and it’s tough to sit by and watch them throw away their life with that fear and cat-itude. It’s not very expensive for your vet to sedate him and place an esophageal or nasal-gastric feeding tube, if it’s appropriate given your cat’s situation. Great details in this article. I have been syringe feeding my daughters 3 year old cat ( love of her life) grinding up raw meats and other nutrients. I was unsure of the measurements at one sitting and best practices for feeding intervals and liquid intake. Thank you so much for a great article…marked as a favorite and will pass it on. FYI. Cat may have wet FIP looking for alternative thinking and treatment. Blood work does not prove FIP exclusively. Jaundice in eyes is mild. What can I do to reverse Jaundice symptoms…more liquid? Also, giving cat ( Mayson) Tumeric and FortiFlora and L-Lysine. Trying everything that seems reasonable but need help with over turning/lessening the Jaundice in eyes. Have copy of labs but can’t understand or find online source to compare levels. Globulin result is 5.5, ALT (SGPT) 22, Direct BILIRUBIN 0.3, BUN 11, POTASSIUM 3.7, HTC 33.1, NEUTROPHIL SEQ 97, LYMPHOCYTES3, MONOCYTES 0, EOSINOPHIl 0, T4 2.1, FeLV Antigen ( ELISA) Negative, FeCoV ( FIP) Antibody POSITIVE @Greater than or equal to 1.12,800. FIV Antibody NEGATIVE. Is there a resource to help us compare/understand/study the lab work results, so we can investigate further in what may help our cat’s recovery? I am so grateful Doc Truli, for your sound mind and abiltiy to communicate information in the clear and concise way in approaching the information on your site. I pray I am doing enough of the right things to have a chance in helping my daughter (13) give some quality time to her Mayson. She is very interested in VET reasearch/ science as a result of this unfortune. First, I hope Mayson is feeling better and does not have FIP. Second, to get jaundice down, feed, feed, feed and time. Multiple small meals every 2-3 hours throughout the day. Also, jaundice can stay evident in the yellow eyes/skin for up to 2 weeks after the liver has recovered. So don’t lose hope. Third, each laboratory has a set of “normals” to compare your labwork to the “normal range” for that machine or laboratory. All labwork should be reported out with the normal range, or you can request it. Fourth, “A resource to help…compare/understand the lab work results” is a veterinarian. It takes at least 8 years of advanced training to put together the diagnosis and prognosis based on the history, physical, and test results. That said, for me, the most important number from your labwork would be the Total Protein or TP. Can you convey that in another comment? Fifth, FIP is a tricky disease. Have you read Cornell Feline Health Center’s information about FIP? FIP as a disease is caused by an interaction of a cat’s immune system with a virus. Therefore, the test result with the high virus number may not mean anything because the virus is in the kitty “colds” family. The test will pick up a cold as much as FIP. Your veterinarian puts the results together for a best educated guess. There is a new test for FIP that can be run on a live cat with a sample of abdominal fluid, blood, or biopsy surgical samples of affected tissue. It looks for mutated DNA of the disease-causing virus. Because if the expense of that test and also, it still is not 100%, many times a diagnosis is made based on the whole picture and an educated guess. If you have the financial resources, you could ask for a consult with an internal medicine specialist if you are not getting enough support and answers from your general practitioner. Finally, I wish Julianne the best of luck with Mayson and deciding on a path for school. No matter what she decides to pursue, a solid, thorough education will open the most doors for her and give her the most choice in the future when she is sure of what she wants to do. Can someone help me? My 20 wk old cat is dehydrated and i don’t know how much water to give him by syringe. Im getting very frusterated! If you can, please see a veterinarian locally to help your kitten. If you can at all, please see a veterinarian with your kitten. If you have already, it is completely valid and appropraite to call and ask them how much to give, or to teach you how to do it. i mixed friskies with some water is that good? or should i blend solid food? Good Luck! Did you take her to a vet? She may have worms or some other curable illness. Does she have upper respiratory (cold) symptoms? If she does, a nebulizer does wonders; she won’t eat unless she can smell the food. Blending kitten food, canned, fresh skinless cooked chicken breast, Stage 1 meat flavor baby foods, or prescription A/D, Recovery formula or other special foods from the vet’s office work best.